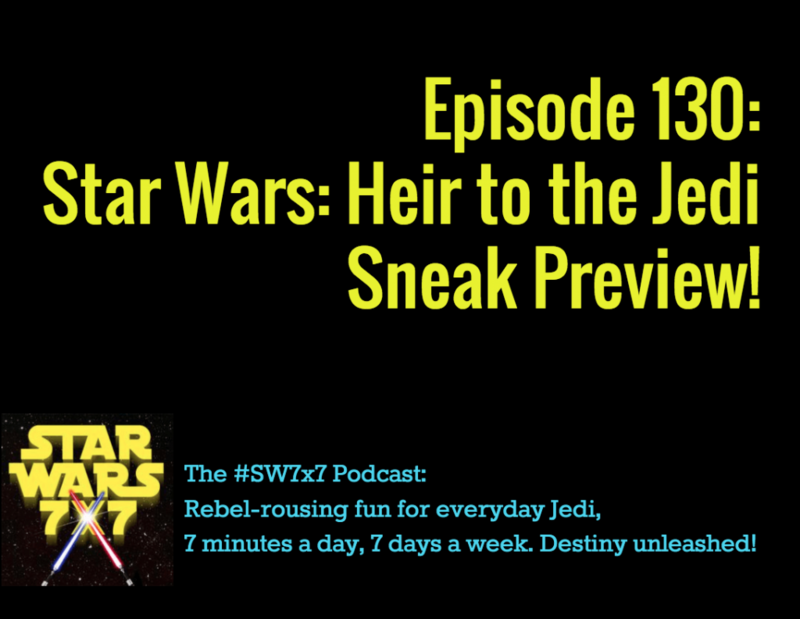 Home > 130: Star Wars: Heir to the Jedi Sneak Preview! At the end of Star Wars: Tarkin is an additional 10 pages of joy – Chapter 1 of Heir to the Jedi by Kevin Hearne, which isn’t due out until March 3, 2015. Find out how the story kicks off, what a first-person Luke sounds like, who we get to see again, and for me, at least, the hands-down funniest phrase I’ve read, seen, or heard all year. Listen in for more – it’s a 7-minute podcast, after all! 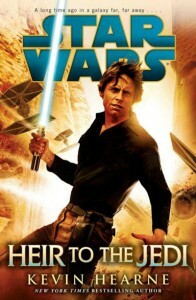 Surprising or little known Star Wars tidbits, sometimes related to today’s Force Feature. Here in the United States, it’s Veteran’s Day, where we honor the men and women who served, fought, and returned to remind us of the value and the cost of freedom. There’s a thread mentioned in John Jackson Miller’s Star Wars: A New Dawn about how badly Clone Wars veterans were treated, and I’m sorry to say that it mirrors our real lives. So please, let a veteran know how much your freedom matters with a deeply appreciative thank you. A featured dispatch from the Star Wars Twitterverse! So many fun, quirky, and awesome ways to bring Star Wars into your daily life! Star Wars Lightsaber Thumb Wrestling – click the pic for details! Today’s question: Who ordered the gunners on Vader’s Star Destroyer to intensify their forward firepower? Next Post: 131: Carrie Fisher Bantha Tracks Flashback!